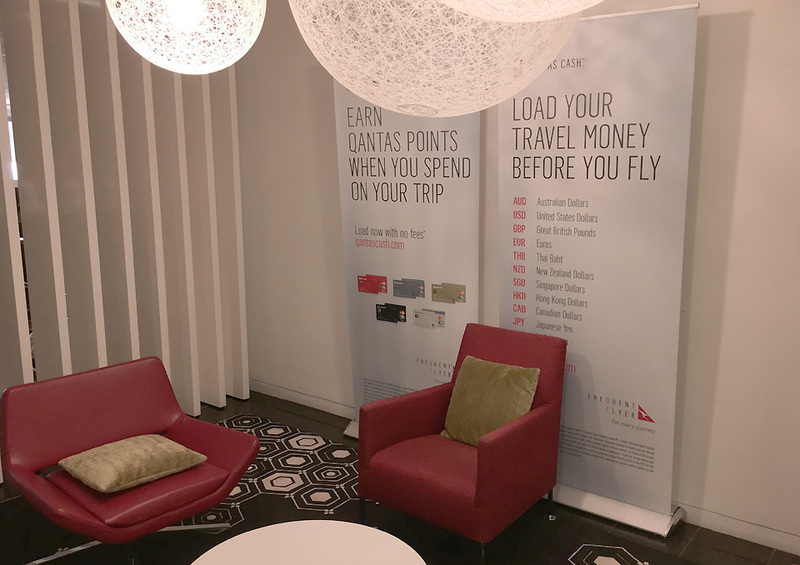 Qantas offers its First and Business class guests along with One World partners access to its exclusive lounge at Auckland International Airport. 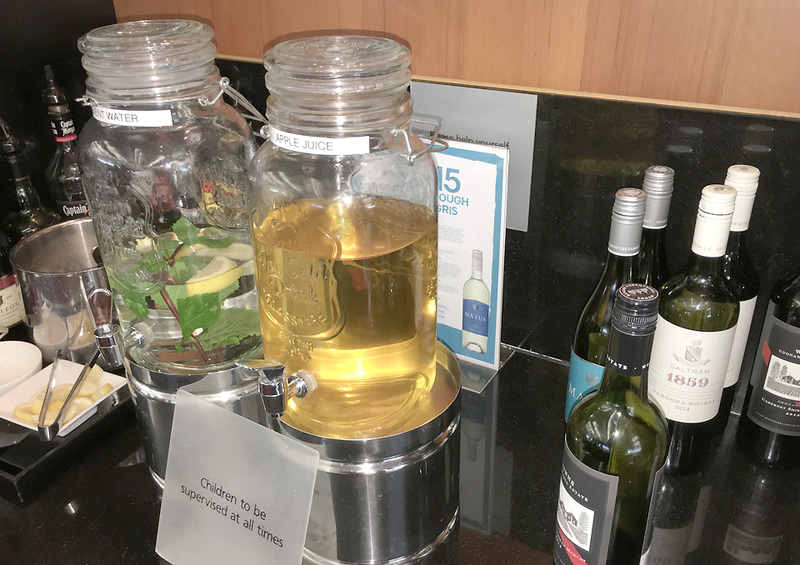 If you’re flying American Airlines to Los Angeles, you’re welcome to use the Qantas Lounge. 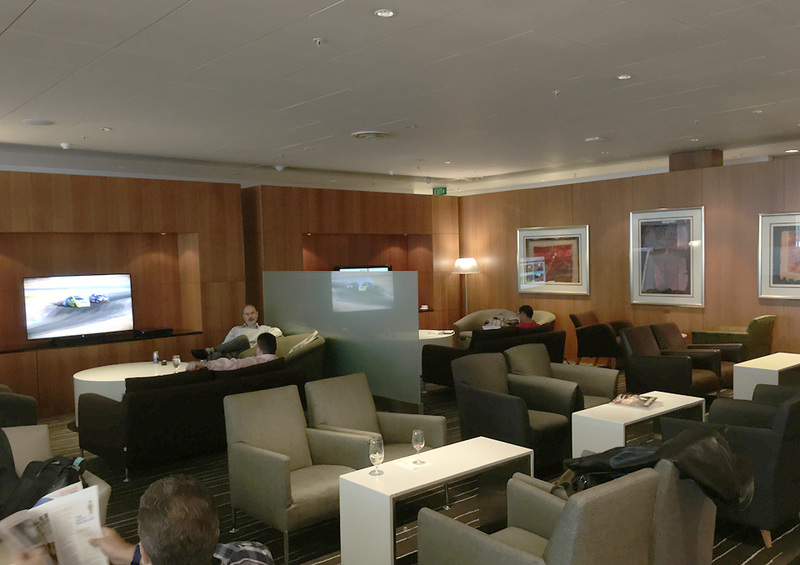 The lounge has been one of the longest standing at Auckland Airport and probably needs a bit of a refurb. 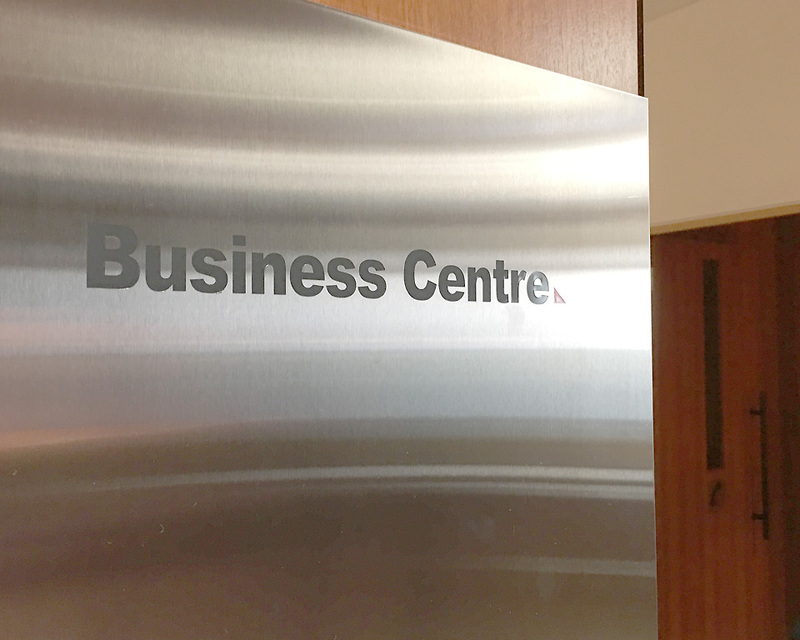 It still is a pretty decent place to catch up on work and provides full business centre facilities. 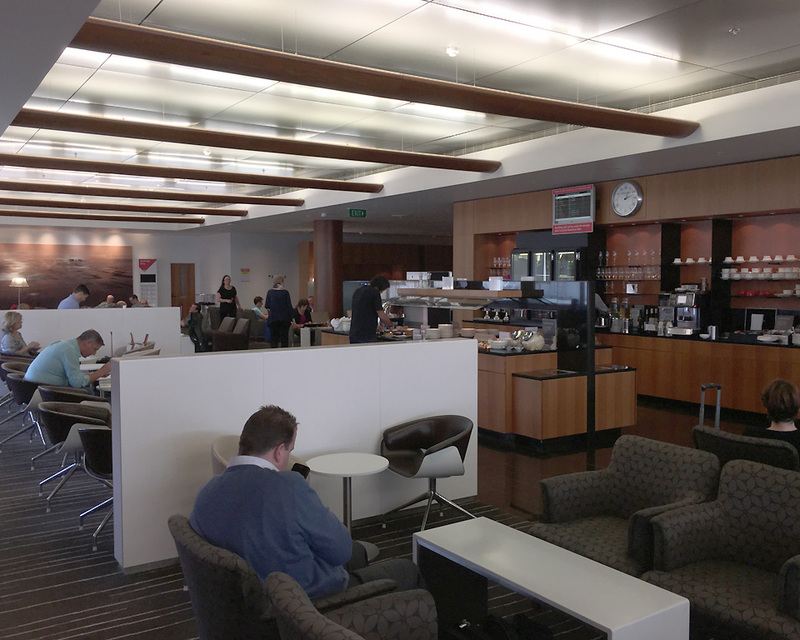 Qantas Auckland International Business lounge is located airside on level 2 next to Emirates lounge. Just after security and crossing Aelia Duty free, turn right and follow the signs up on the escalators to the Qantas lounge. 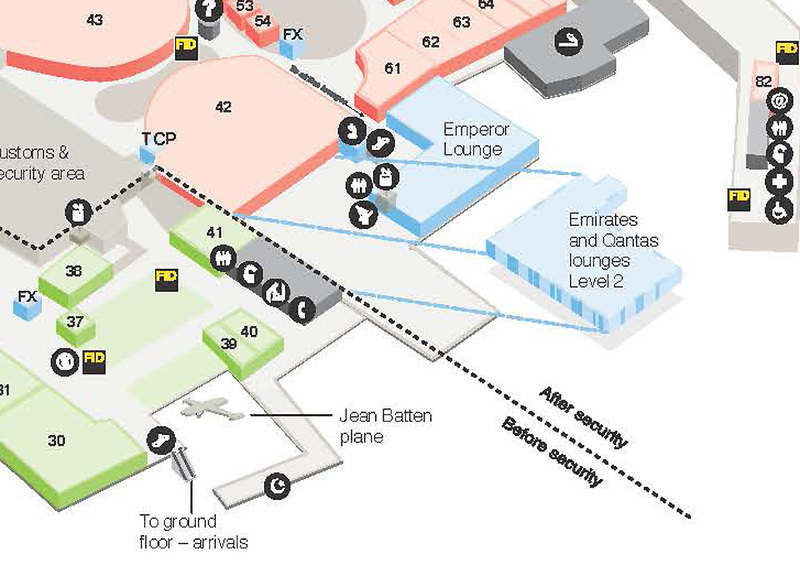 After security turn right and walk towards gate 59, which is near the entrance to our lounge located on the mezzanine level above the departure gates. 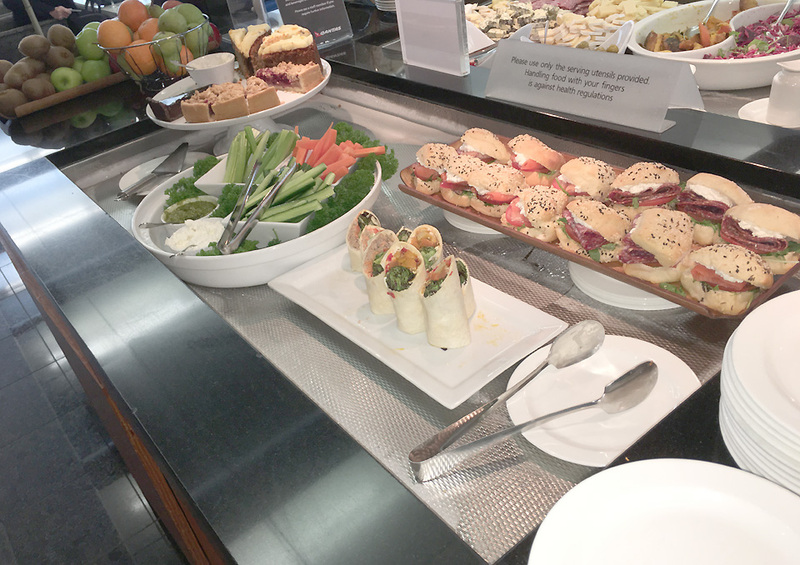 The lounge presents a decent buffet layout of food. 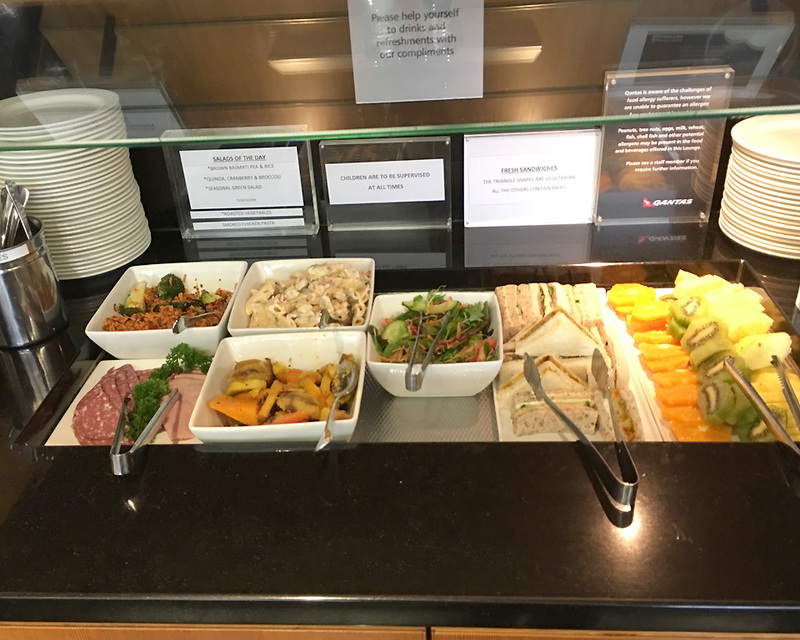 There is a good variety of salads, cold cuts, cheeses and fresh fruit all freshly laid out and replenished. 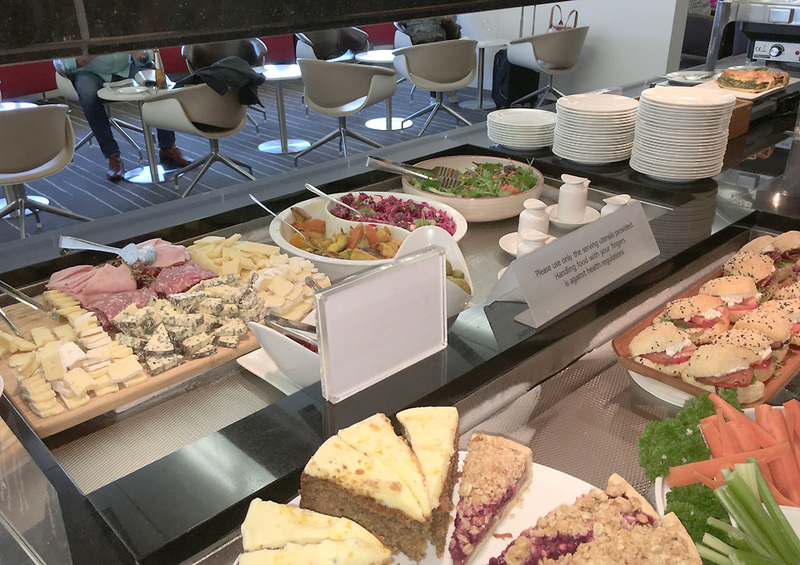 The cold section featured a selection sandwiches, baps, pasta salads and fresh-cut fruits. 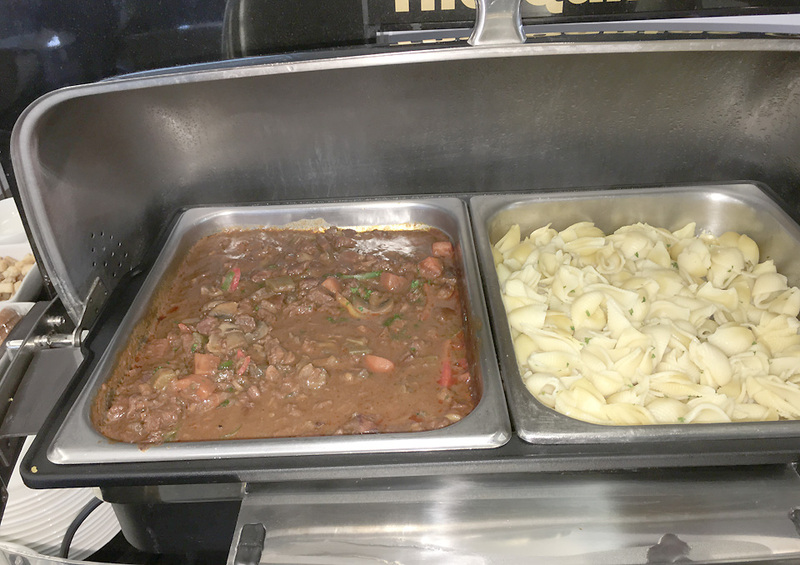 The hot dish of the was pasta and meat sauce that was again freshly prepared and tastefully presented. 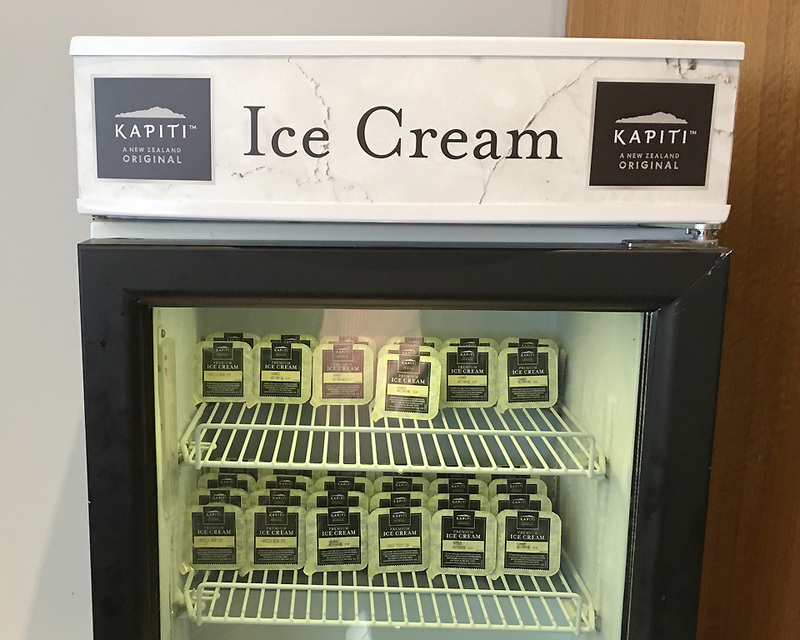 Qantas lounge doesn’t have a resident chef that prepares hot items to order for this would be the closest best dish available for a hot meal. 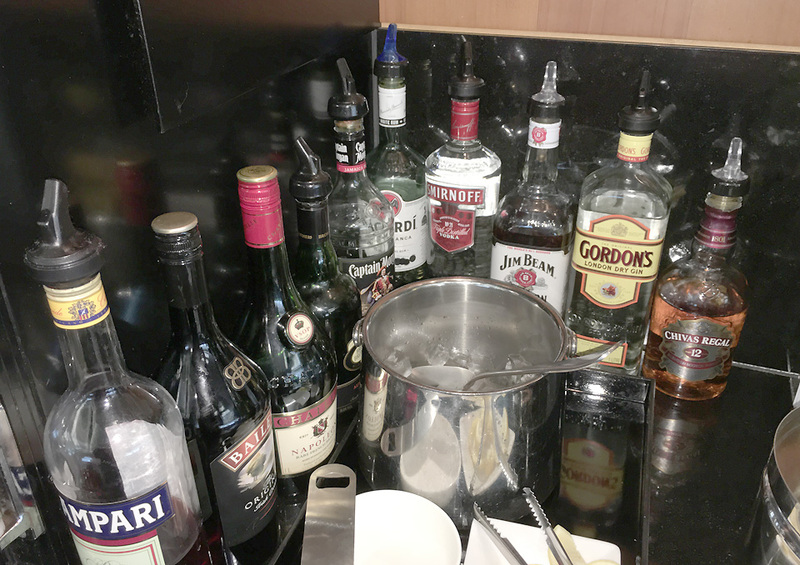 There is a good selection of alcoholic beverages with a good choice of spirits. There’s premium wine and beers if you’re in the mood. 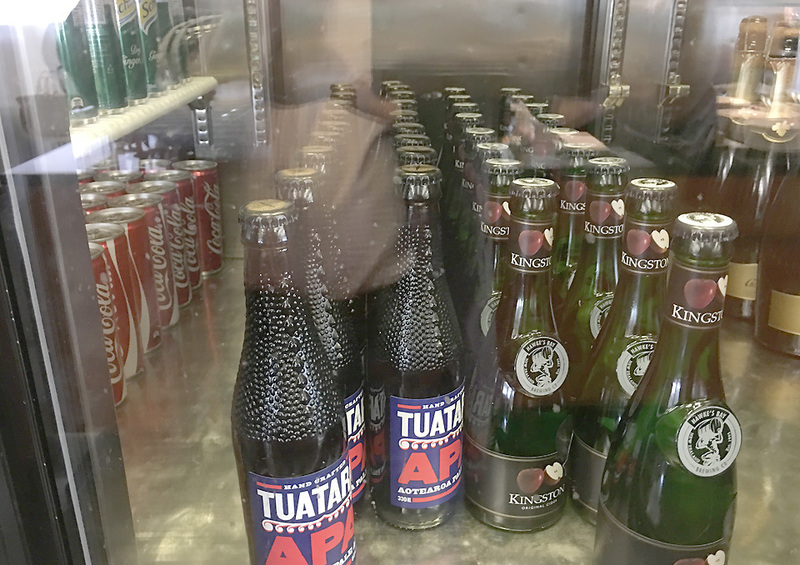 Non-alcoholic beverages include a range of juices and soft drinks. 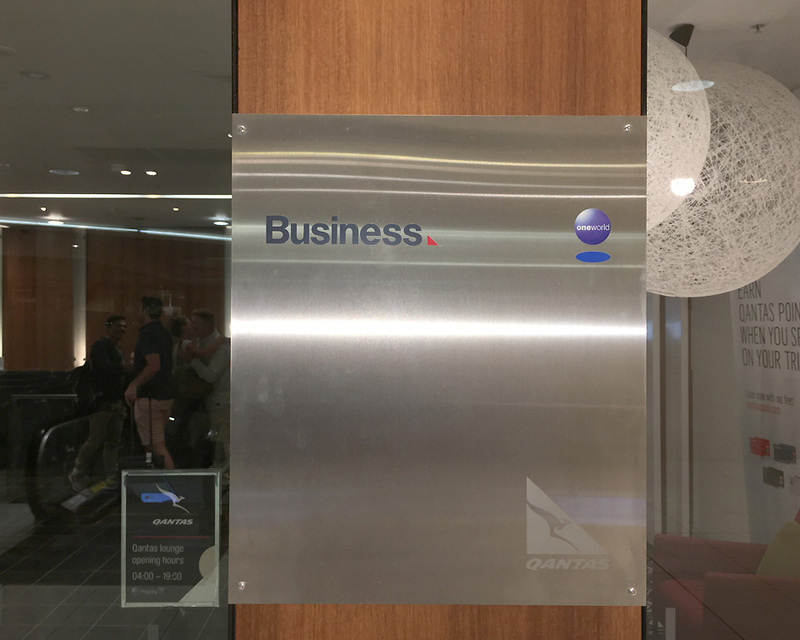 Qantas International Business lounge has designated work spaces and provides full business centre facilities to catch up on work. 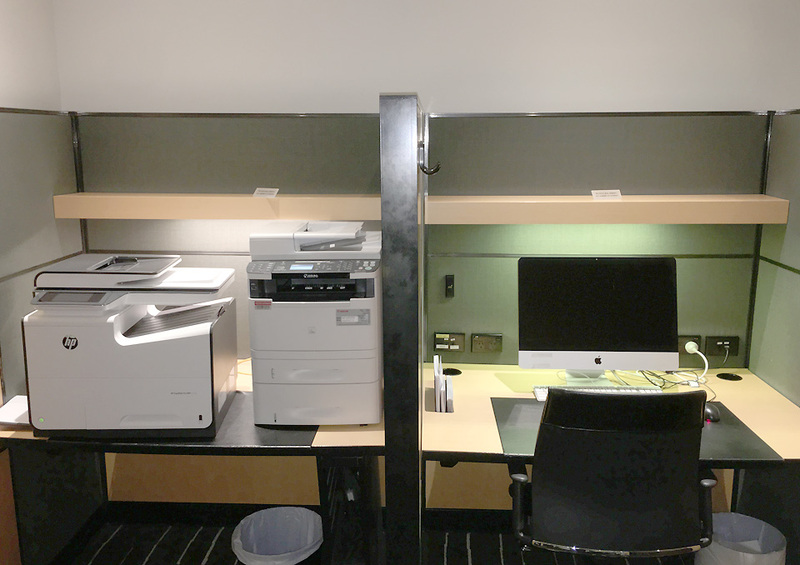 For Individual work stations with Apple Mac computers are available to work on with printing and documenting services. WiFi is available across the lounge and there’s the option of working in the comfort of the lounger with power sockets to plug in laptops. The lounge has expansive relaxing areas spread out across the floor for taking it easy. 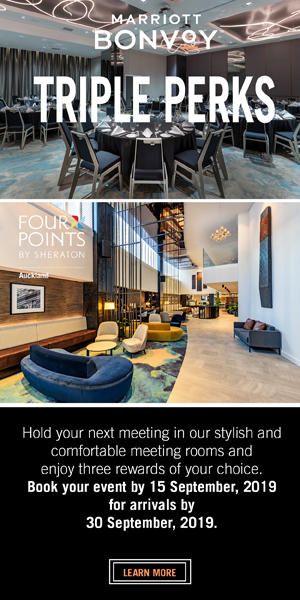 If you’re in the mood of catching up on current affairs or sports, there are large screen LCD televisions spread across the room too. 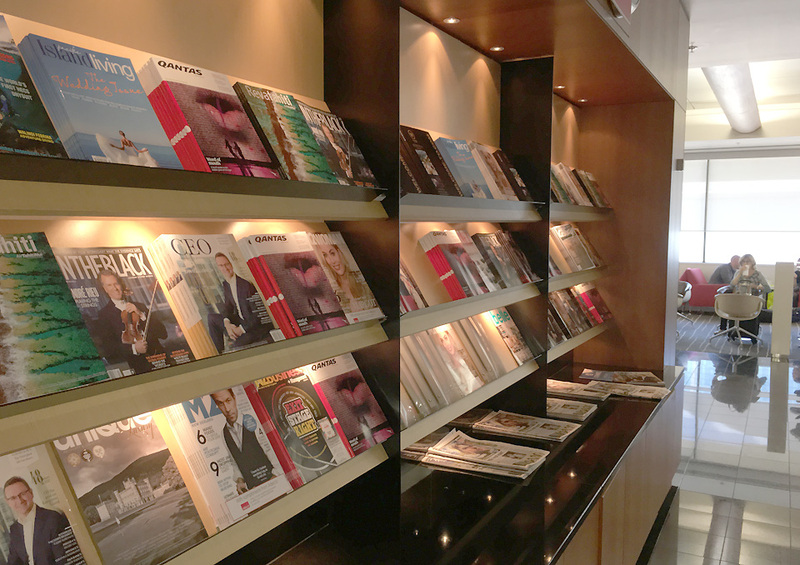 Decent reading material with latest magazines and international newspapers. 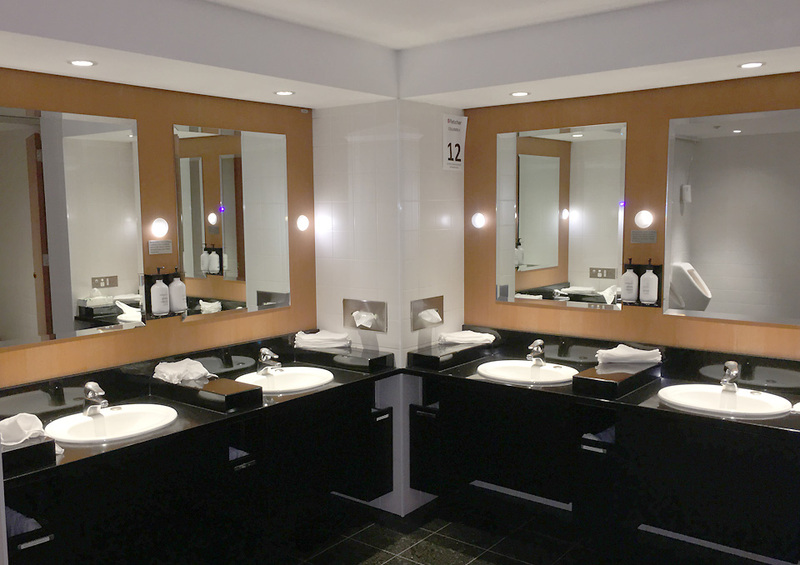 Showers and rest rooms are spacious and well appointed with large mirrors and refreshing toiletries to freshen up before boarding. 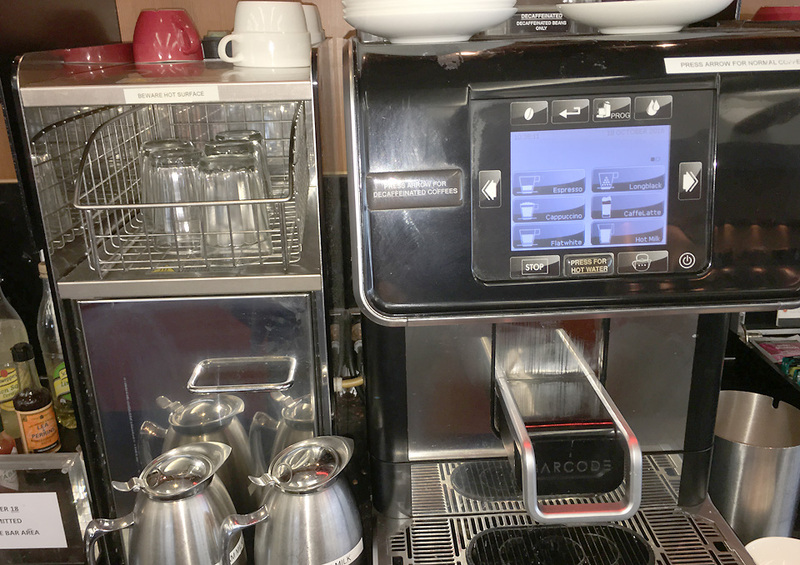 Although there is no barista coffee available, there is an automatic coffee vending machine and a good selection of teas. The lounge has great spaces for work and relaxing with views across the terminal. 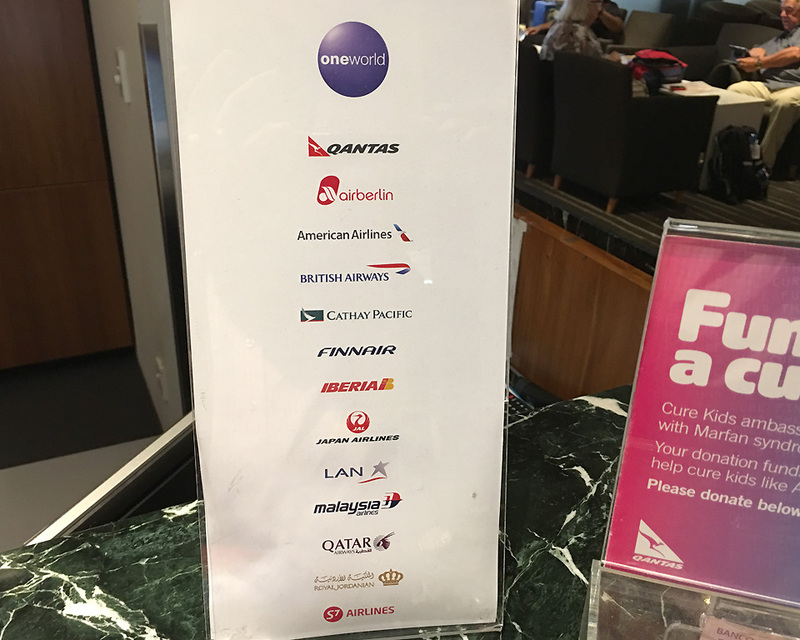 It could surely do with a refurb to keep up with competition and major airlines partners flying into Auckland in the near future. 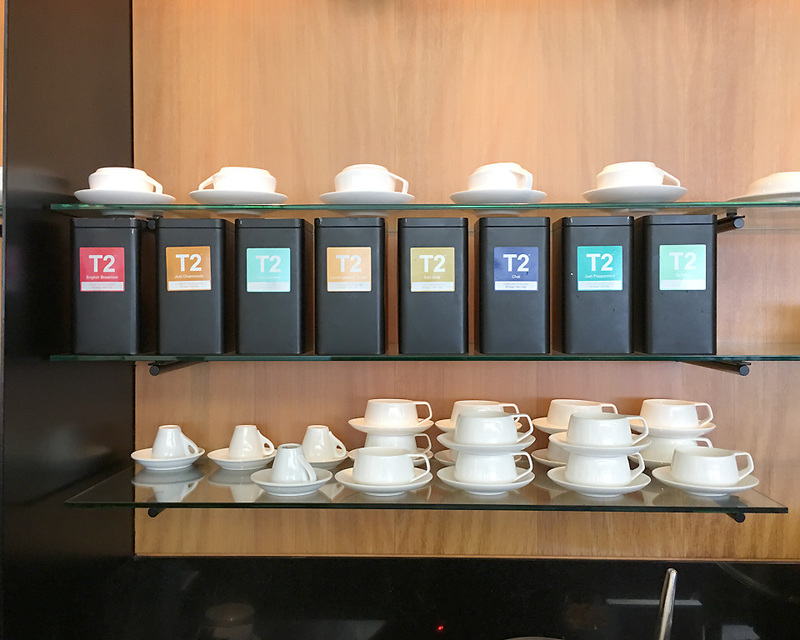 Qantas has been made significant investments in upgrading lounges across the Tasman and their Auckland lounge is screaming for one too. The lounge could do with a good bar, media room and a kids area along with the replacement of the tiring furniture and that will make a dynamic change keeping in line with their lounges across the region. Also read: Qantas may fly the 787 to London from Perth.